Through communication and improvement under creative organizational culture, we will continue to grow as a company with the highest trust by securing products with zero defects and supplying them on time. Dongbo Industrial Co., Ltd. is a specialized production company of auto components and all the employees are united to do their best to produce products that customers can use with peace of mind. Our quality policy is to establish a quality assurance system by which we can secure quality and realize zero defects. Our quality system conforms to the purpose and requirements of IATF 16949 to achieve customer satisfaction and trust, and to build a strong corporate image. 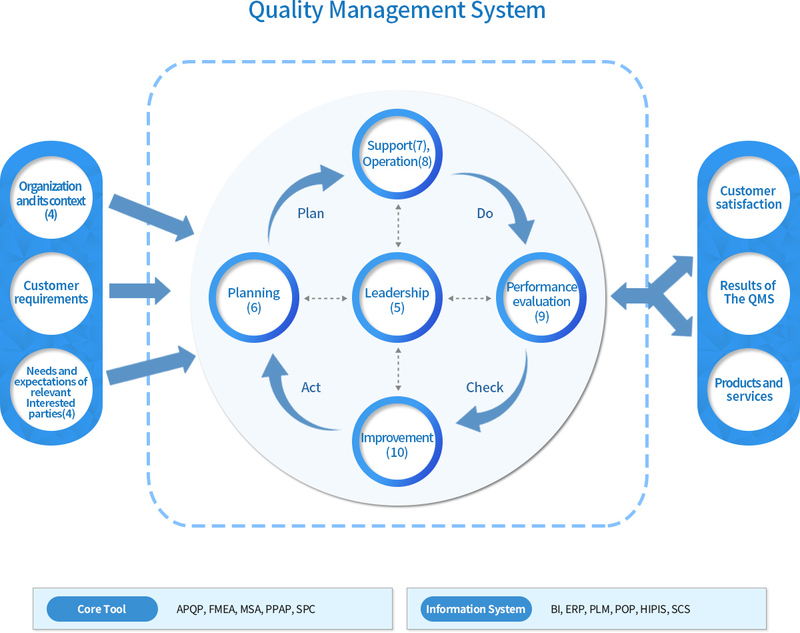 To this end, all employees are fully committed to performing tasks assigned to each individual under the spirit of "Quality Is Secured Through the Process" to ensure that the quality policy is effectively achieved and strictly adhere to established standards. Chairman, Dongbo Industrial Co., Ltd.
■ In order to achieve customer satisfaction and global standard, we implement operate quality management system according to IATF 16949 requirements. 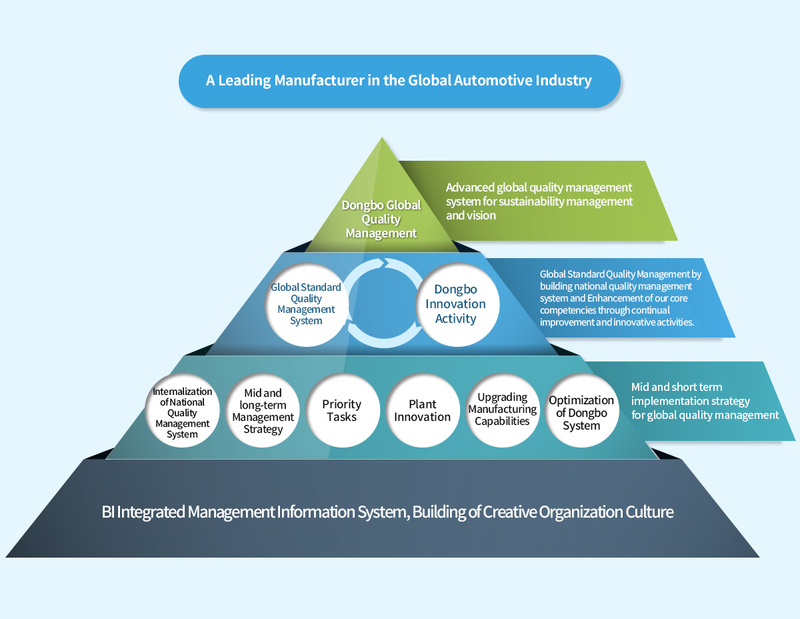 ■ We are pursuing continuous improvement by establishing a frame of innovation activities to achieve the vision of Dongbo, building a global quality management system that is trusted by global customers.